Mission Statement. Mission Statement. 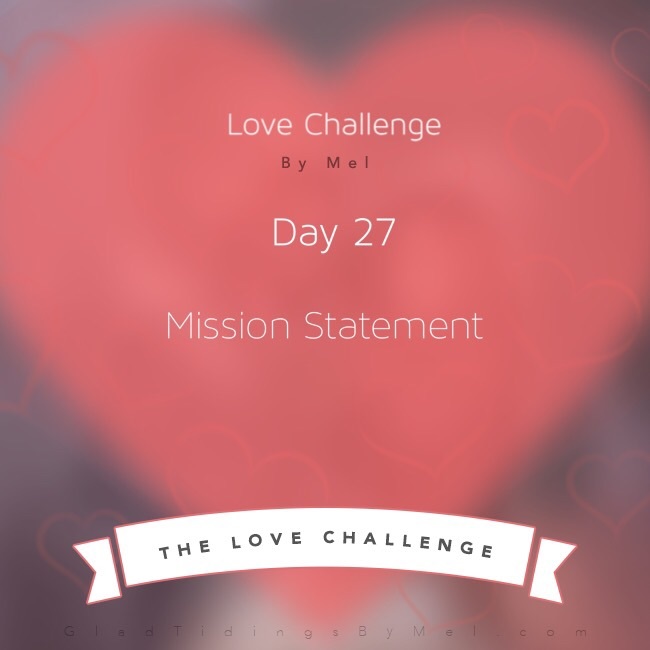 Today I challenge you to create a mission statement with your loved one. If you have children I challenge you to create a family mission statement. A mission statement is a summary of your family's values. A mission statement defines what your family is, why it exists, it's reason for being, and what you value. What do you value in your relationship? What does your family value? What do you want your relationship and your family to be like? A family mission statement lays out a vision for your family of where you want to go together and how you want to get there. Having a shared vision, a shared sense of values and purpose, bonds us with our loved one. I encourage you and your loved one to declare your beliefs, purpose, and goals. Start your mission statement by calling a family meeting, discuss what your family is all about, make a list of your family core values, discuss phrases that capture what your family is about, decide on a few big ideas and write your mission statement. There is no right or wrong way to write your family mission statement. It can be an essay, a paragraph, or bullet points. Example # 1 Our family mission: To love each other….. To help each other….. To believe in each other…. To wisely use our time, talents, and resources to bless others….. To worship together….. Forever. Example # 2 Our family mission: To always be kind, respectful, and supportive of each other, To be honest and open with each other, To keep a spiritual feeling in the home, To love each other unconditionally, To be responsible to live a happy, healthy, and fulfilling life, To make this house a place we want to come home to. Example # 3 Our home will be a place where are family, friends, and guests find joy, comfort, peace and happiness. We will seek to create a clean and orderly environment that is livable and comfortable. We will exercise wisdom in what we choose to eat, read, see, and do at home. We want to teach our children to love learn, laugh, and to work and develop their unique talents. Example # 4 Our Family mission is to: Value honesty with ourselves and others. Create an environment where each of us can find support and encouragement in achieving our life’s goals. Respect and accept each person’s unique personality and talents. Promote a loving, kind, and happy atmosphere. Support family endeavors that better society. Maintain patience through understanding. Always resolve conflicts with each other rather than harboring anger. Promote the realization of life’s treasures. Pray over the drafting of your family's mission statement. 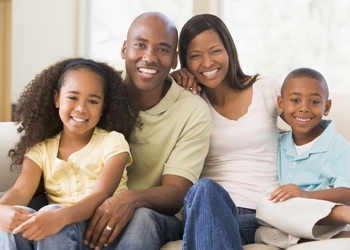 Once your family's mission statement is written find a place in your home to hang it. Reference your family mission statement daily, use it daily, and modify it as needed.